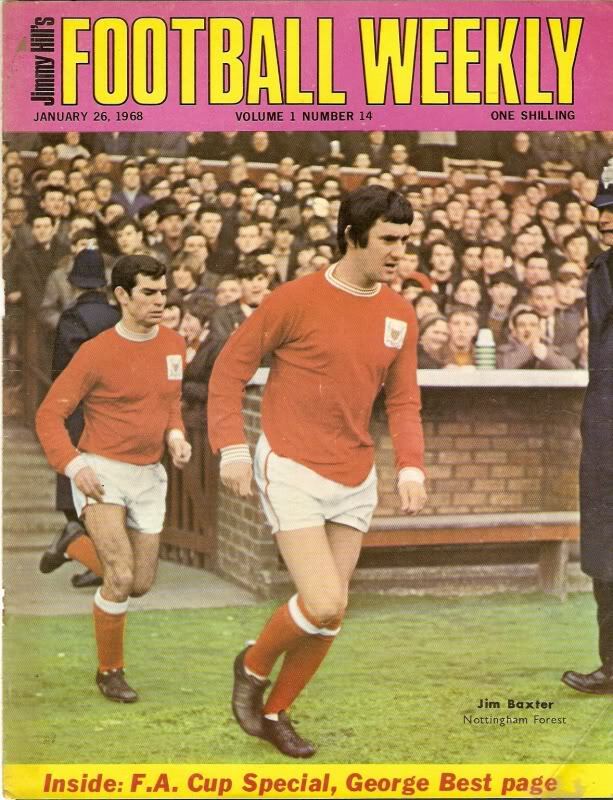 This weekly magazine was named after Jimmy Hill, yes, the very same Jimmy Hill who went on to become Match Of The Day presenter. There is some debate though over how much input he actually had, some claim he was a driving force behind the magazine, this is backed up by the fact that he had an article in each issue. However some other well informed sources suggest he had very little involvement other than lending his name to the publication and his article were simply ghost written. What isn’t up for question though is that the first issue went out on 27th October 1967, that though is about the only real fact we can come up with regards publication dates with no actual confirmation of when it finished, all that we can gather is it was early 70’s when it folded. In keeping with this seemingly unprofessional approach the numbering system was also a little bit hard to understand with there appearing to be no numbering system for the initial issues, it then reverted to a "Volume No Issue No" system before then bizarrely going into a permanent numbering system that actually started at 105 !! What it did include though were several pictures of the eras top players every week and this makes it yet another brilliant collectable football magazine.